The post-Pulwama-Balakot sequence of events has acquired a complex contour and is playing out on many tracks, including the most visible in the collective Indian consciousness — the status of the IAF pilot, Wg Cdr Abhinandan Varthaman, and his return to India. It may now be inferred that the very brief and Twitter-like reference by US President Donald Trump, who indicated that there could be a ‘decent’ and ‘attractive’ development in relation to the tension currently prevailing between India and Pakistan was a hint about what would soon follow in relation to the captive pilot. It merits recall that the closure of the 1999 Kargil war was enabled by the then US President Bill Clinton and 2019 corresponds to this pattern but less visibly so. The one other strand this time that may sour the US-Pakistan bilateral ties is the use of F-16 aircraft by Pakistan in breach of its contractual obligations but that is an issue that will have to be addressed separately. The loss of a MiG aircraft and the manner in which Pakistan PM Imran Khan has burnished his profile as a ‘mature’ leader and a man of peace have no doubt occupied media attention — TV particularly — but are more tactical issues that are transient in nature. The more abiding challenge to India is the Balakot punctuation in reference to the proxy war being waged against the country, wherein terrorism, as represented by the Pulwama tragedy, is the manifestation. Will Balakot and the resolve now being demonstrated by PM Modi make a tangible difference to prevent another attack? The answer is probably not. The reason for this less than optimistic outlook stems from the nature of the terrorism challenge that India is seeking to address in the Pulwama-Balakot trajectory. 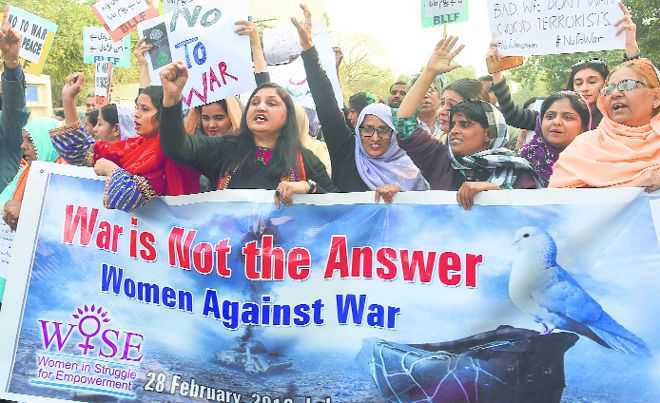 It may be recalled that the Pulwama attack took place after Uri (September 2016) and the question that arises is whether striking a terror camp through the use of air power can be an effective deterrent against the non-state actors in Pakistan. On the current evidence and past experience, it is unlikely and invalid to expect that one carefully carried out air strike in Balakot will prove to be that effective deterrent. The Pakistani response where it deployed its own air power and the dog-fight that ensued between the MiG and the F-16 are symbolic of the costs that will have to be incurred as the military path acquires its own dynamics. In the event that the current situation returns to the earlier default orientation of the bilateral relationship and Pakistan convinces itself that India was forced to ‘blink’ first, the strategic objective of Balakot could turn detrimental. The Indian signal is that the decision to use air power to thwart a terror attack is the new median. The sub-text being Modi’s resoluteness. However, the dominant narrative across the LoC is that the ‘naya Pakistan’ led by PM Imran Khan has stood firm against Indian aggression and the local social media had its fair share of ‘Captain’ Imran bowling the Abhinandan googly and outwitting his Indian counterpart. Triumphalism clearly permeates the subcontinent in a similar manner. The deeper threat to India is the certitude in the GHQ Rawalpindi that Pakistan can continue to selectively nurture terror groups and that the impunity accorded to Islamabad by the global community will continue. Thus, the Pakistani response after the Balakot strike is a familiar denial with little or no reference (forget acknowledgement) to the JeM and its leader Masood Azhar. In case Pakistan follows the Mumbai 26/11 path, where even after a decade there has been no tangible progress on identifying and bringing to book the perpetrators, and disparages the Pulwama dossier handed over to it — the prognosis is bleak. The Balakot aftermath, which appears to be a tactical closure with the safe return of Wg Cdr Abhinandan, is being referred to as ‘de-escalation’, though there is no signal from Islamabad about the JeM trigger that led to the Indian ‘preemptive’ military action. The possibility that Balakot will trigger a reprisal by the JeM and/or its ideologues such as the LeT and other clones remains on the radar. This likelihood stems from the historical symbolism of Balakot and the events of 1831, when the Sikh army of Maharaja Ranjit Singh put the religious ideologue Ismail Dehlvi to the sword, thereby leading to a special resonance for the Islamic jihad movement. Hence my bleak assessment that Pulwama may not be the last terror attack that would be directed against India. In retrospect whether India should have used a MiG with a pilot or a surface missile to counter the Pakistani fighter aircraft is a debate best left to the professionals. What is noteworthy is the fact that an older MiG of vintage quality got the better of the more advanced F-16 fighter. But what does need to be acknowledged is that the Indian response to the challenge of jihadi terror, as illustrated by Pulwama, cannot be episodic and driven in the main by the emotive jingoism noted in large sections of the audio-visual medium and its variants on social media. The national security debate must return to Parliament and not become the handmaiden of the electoral compulsion.